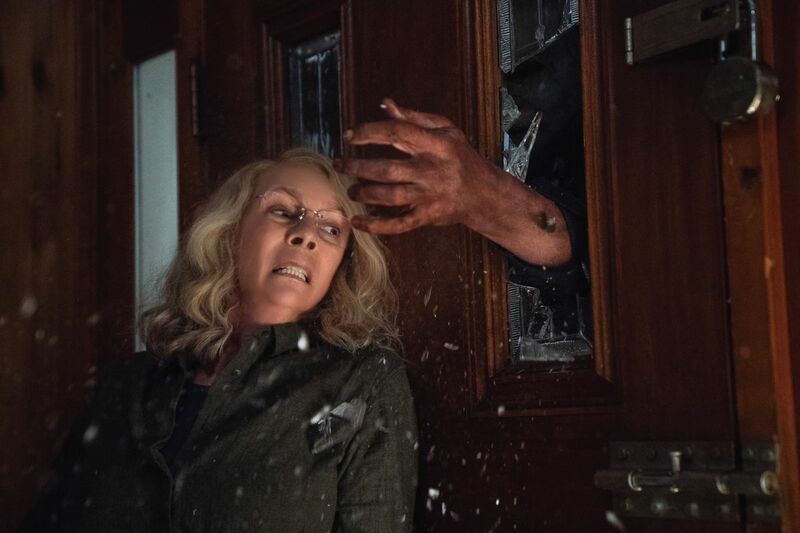 The new Halloween movie is an example of how many people don’t know how to make horror movies anymore. I went into this movie hearing that John Carpenter had something to do with it so I thought that maybe he directed it or he wrote it or both, but actually he does neither of the two. He’s just an executive producer which is as good as meaningless. 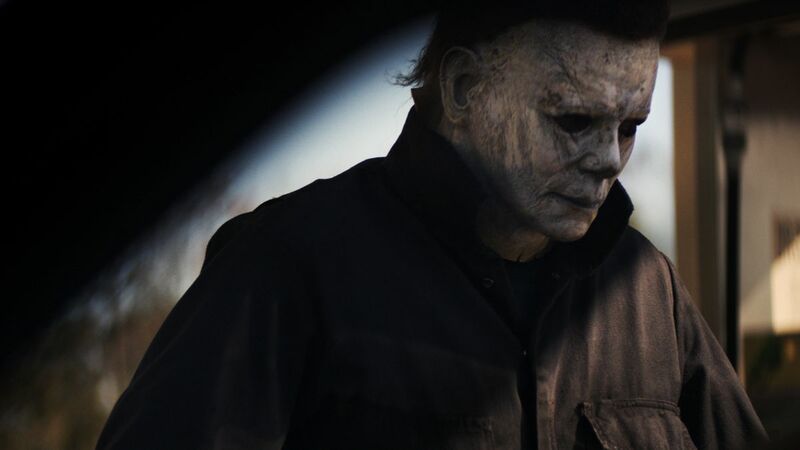 The trailer in commercials also had a look and feel of the original Halloween and that as well led me to believe that John Carpenter directed it and that he was coming back to fix the franchise. As I was up watching the opening credits of the movie I discovered that Carpenter was nowhere to be found in the writing or directing. That didn’t phase me that much, however, There’s no reason why new people couldn’t do a good job as well, but seeing Danny McBride’s name on writing credits was interesting since I am more familiar with him doing comedy. 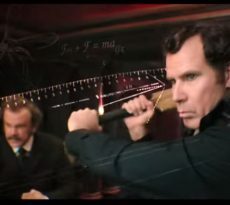 So what’s look at the major problems of the film. The first is that many of the characters are very underdeveloped, both the characters themselves and as well as their relationships with others. 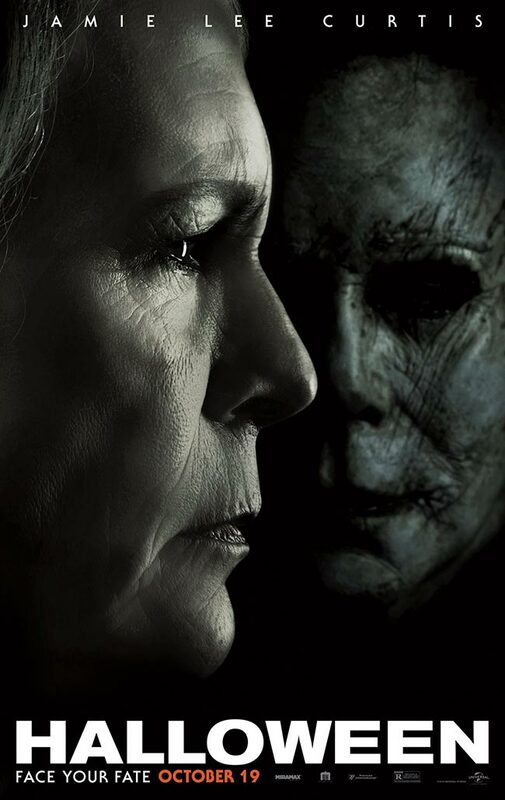 I didn’t really care much about any of the characters and Jamie Lee Curtis is almost a character where you’re supposed to automatically like because you’ve seen her so many times in other movies and tv shows as well as multiple other Halloween films. Many of the characters are throwaways, either incompetent, one dimensional, or kind of a jerk. In the previous films, this would have been only one or two characters. Having so many inept characters in varying degrees hurts any story. At least in the previous movies they would have had a personality that was goofy or flirty or something. Here, many of the characters don’t have much of a personality at all and barely do much to boot. This results in very few characters being at all relatable to the audience. Another thing about the movie that bothered me about the fact that the movie attempts to erase the other nine Halloween films that came out since 1978 original. Apparently, this movie thinks that it’s better than all of those movies. 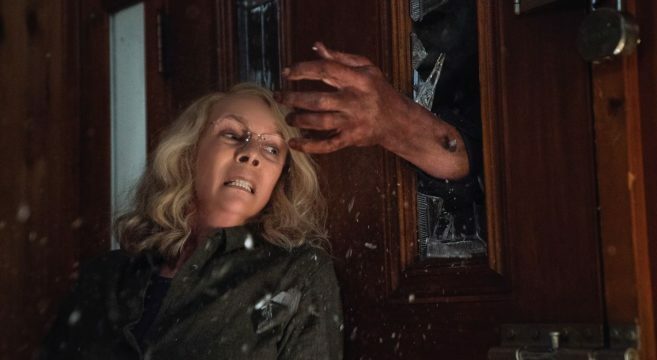 First of all, it’s steals multiple ideas and plot points from those films including aspects of Jamie Lee Curtis’s personality from Halloween H20, and another element which I don’t want to spoil but has a similarity to Halloween 4, as well as the Rob Zombie reboot. I’m not sure what the movies biggest crime is but one of them certainly is that almost no deaths are showing on screen. This seems crazy considering that that is the highlight of any scene where someone’s being hunted. How are they going to respond, will they fight back, will they just be scared, will Michael kill them and some creative way like Kevin Bacon was in Friday the 13th? There are lots of reasons to show the actual death scene and how the character struggles or fights for their life, they might even escape. But we don’t know that because we’re only seeing a dead body after the fact for most of this film. On top of that, the movie isn’t even remotely scary or intense. The original film had a very good intensity it really kept the audience on the edge of their seat. It made them squirm and made them uncomfortable in worrying about how Jamie Lee Curtis’s lead charcater Laurie amoung others would survive. 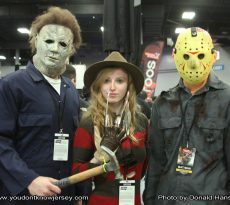 The original film had a real and raw feel to it and this resulted in true suspense. This movie has not a single one of those not on any level whatsoever. And the bulk of the movie including the entire last act is 100% predictable. I could’ve walked out of the theater at a certain point and known what was going to happen after I left. 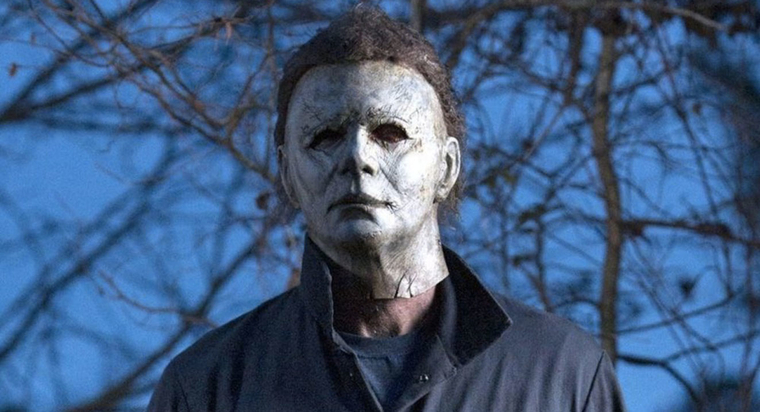 This movie has been successful because it’s been 9 years since the last halloween film and Michael Meyers is an iconic character. 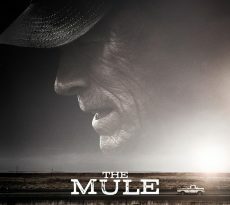 However, that has all been wasted in one of the most disappointing movies I have ever seen.